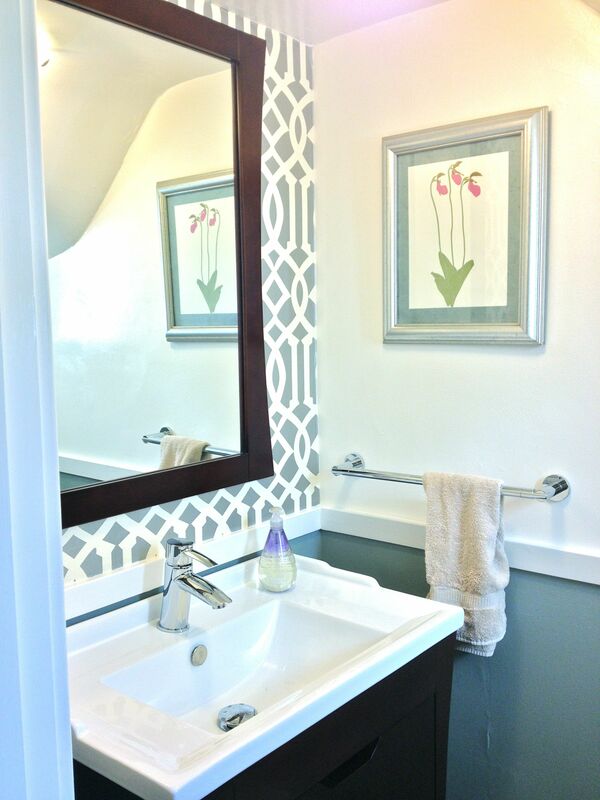 I am so pleased to finally show you our new powder room! It took longer than I anticipated, but it turned out just as I hoped. I used lots of silver in this small space, to make it feel brighter. 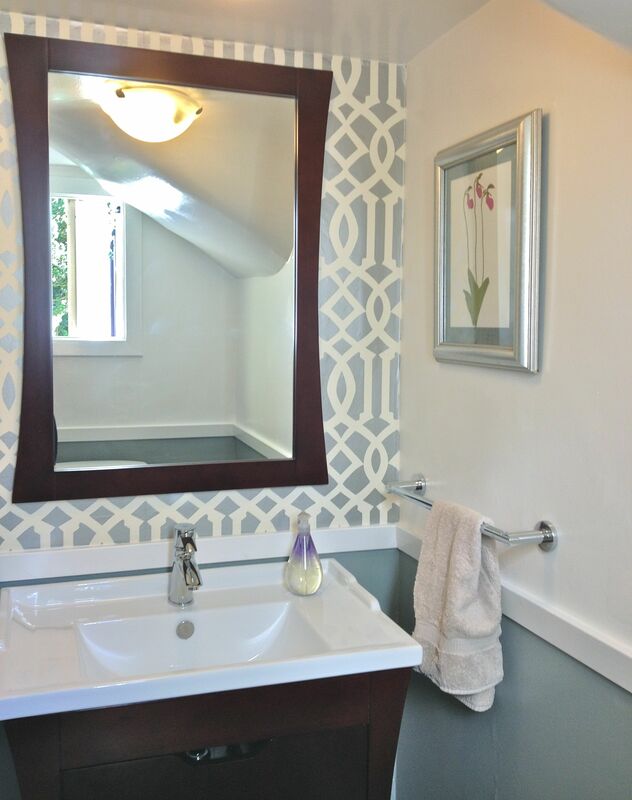 The finished powder room has lots of bright and elegant details, like the Imperial Trellis wallpaper and new chair rail. I’m very happy with the result. Before, the room felt unfinished (because, as hubby points out, it was unfinished) and plain. I would actually avoid it and go upstairs to a “real” bathroom. Now, it’s still small, but it feels polished and pretty, and I occasionally peek in just to take a look (okay, that won’t go on for long, I hope). 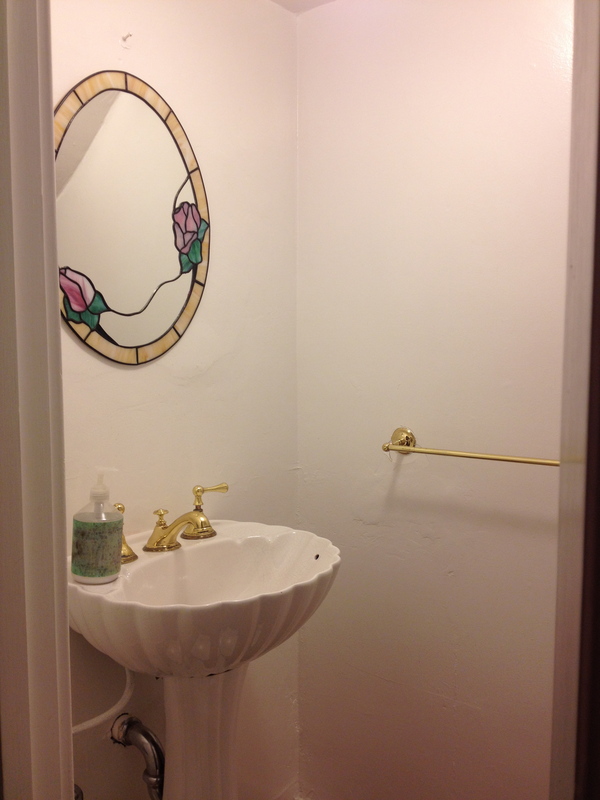 BEFORE: The whole room was very white – blah – with dated gold-tone fixtures. I got the help of a handyman to change out the old pedestal sink for this new vanity. 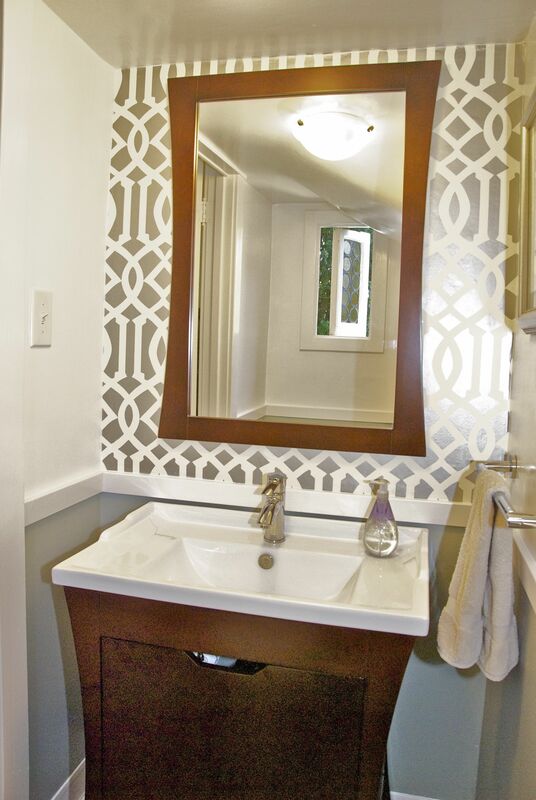 Our half bath is very small, so I looked for a long time to find a small vanity that didn’t feel undersized. I am happy with the look and functionality of this Covus vanity found on Overstock. The new towel bar and toilet paper holder add a shiny touch in polished chrome. The art is a print from an Henry Evans calendar (more of those to see in upcoming posts, too). I picked the color of the flower and picture mat to tie in the old floor colors. The frame was a thrift store find and brings more silver into the room. 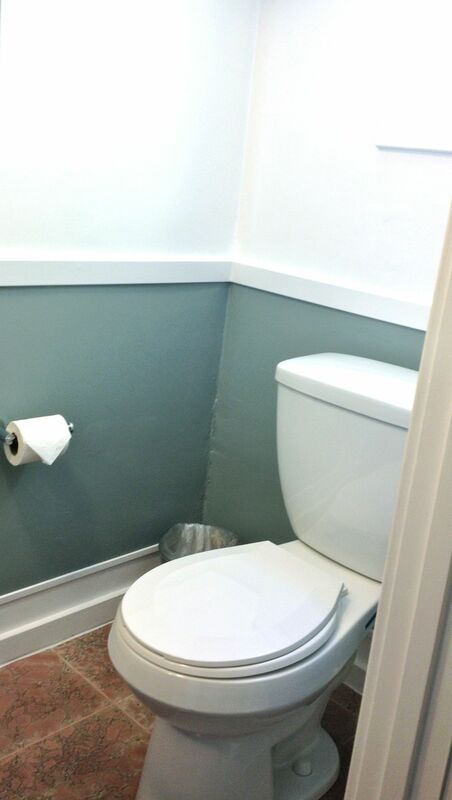 I’m very relieved to have this powder room off the to-do list. It was getting embarrassing! Now, I can get on to some more fun projects that I’ll post soon.